A thoroughly cleansing shampoo, that relieves anxiety with a scalp tingling fusion of peppermint, conditioners, and moisturizers that provide excellent shine. It balances moisture while detangling and strengthening the hair. 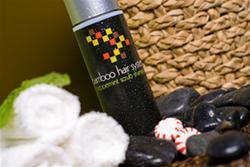 Our shampoo is available in 8oz, 16oz and larger sizes also available at wholesale prices. Please call for more info.